Other Common Names: Soapweed, bouncing bet, wild sweet William, Fuller’s herb, lady’s washbowl, leatherwork, hierba jabonera (Spanish), saponaire (French), Echtes Seifenkraut (German), såpnejlika (Swedish), þvottajurt (Icelandic), rohtosuopayrtti (Finnish), sæbeurt (Danish), såpeurt (Norwegian). Habitat: Soapwort is originally native to Southern and Central Europe, Asia Minor and Western Siberia. However, the plant has been introduced as a garden plant in North America and many other countries, and become naturalized. The plant has a high drought tolerance and grows well in sandy soil. It prefers well-drained, acidic, neutral or basic (alkaline) soils. It grows best in semi-shade or full sun. The plant grows relatively fast and can spread quickly to become a bothersome weed. Soapwort is grown commercially mainly in China, Iran, and Turkey. Plant Description: Soapwort is a perennial plant belonging to the pink family (Caryophyllaceae). 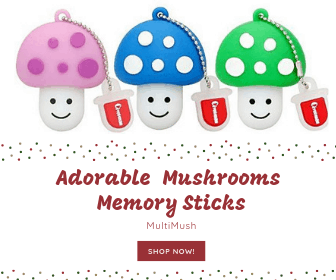 It can grow up to 70 cm in height with a creeping and richly rooted rootstock that allows the plant to grow in large quantities. The stems are round, hairless and slightly reddish and the leaves are opposite, hairless, ovate or broadly lanceolate and smooth along the margins. Soapwort is in flower from July to September. The flowers have five petals forming a purple or pink tubular cup. The fruit is an elongated capsule containing numerous seeds. The flowers smell pleasant, especially in the evening and attract insects such as Noctuidae, Sphingidae, bumblebees, and hoverflies. Plant Parts Used: It is mainly the dried roots and rootstocks (rhizomes) that are used medicinally. The aerial parts of the plant have similar but weaker medicinal effects. The rootstocks of 2 or 3 years old plants are collected early in the spring or autumn and dried at 40-50 ° C.
All parts of the plant have a strong and bitter taste. 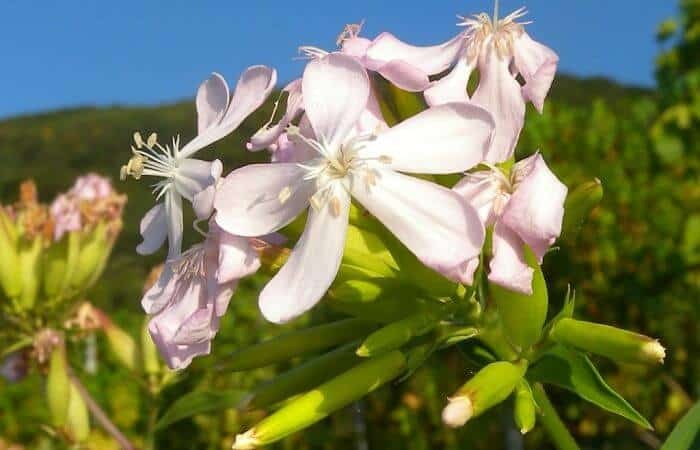 Active Ingredient and Substances: The soapwort’s rootstock contains saponins (up to 5%), flavonoids, sugars, resin, vitamin C and small amounts of essential oil. The English herbal doctor Nicholas Culpeper (1616 – 1654) mentioned the herb in one of his famous herbal books “The Complete Herbal” where he wrote that it was an effective cure for syphilis. The use of the herb for the treatment of the symptoms of syphilis and other venereal diseases was also recommended by Mrs. Grieve in “A Modern Herbal” in 1931, especially when treatment with mercury (which was the standard cure for sexually transmitted diseases for almost 400 years) had not worked. The saponins in the rootstocks have a slight irritating effect on the respiratory and digestive system and the herb is regarded to have expectorant, diuretic, diaphoretic and laxative properties. In herbal medicine, soapwort is mainly used as a remedy for a cough, bronchitis, and inflammation of the upper respiratory tract, usually in the form of a decoction. Due to the herb’s irritating effect on the mucous membranes of the digestive tract, it stimulates the fluid secretion of the bronchi. Soapwort also enhances the production and excretion of bile from the liver and gallbladder and it has been used as a natural treatment for constipation and bile duct diseases. Once, the herb was used internally to reduce rheumatic pain but since the saponins present in the herb are known to have toxic effects if they are absorbed by the body which in turn can cause gastrointestinal irritation and hemolysis (the rupture or destruction of red blood cells), the herb is now rarely used in modern herbal medicine. One of the saponins found in the plant has been shown in laboratory tests (in vitro) to be cytotoxic to a special form of cancer known as Walker Carcinoma. Externally, a decoction made from finely sliced rhizomes, or an extract made from the fresh aerial parts of the plant, are used as a wash or added to bath water as a relief for various skin disorders, such as pruritus, itching, psoriasis, eczema, boils and acne, and as a mouthwash to treat fungal infections in the mouth. The plant is sometimes used as a hair shampoo, but it can irritate the eyes. 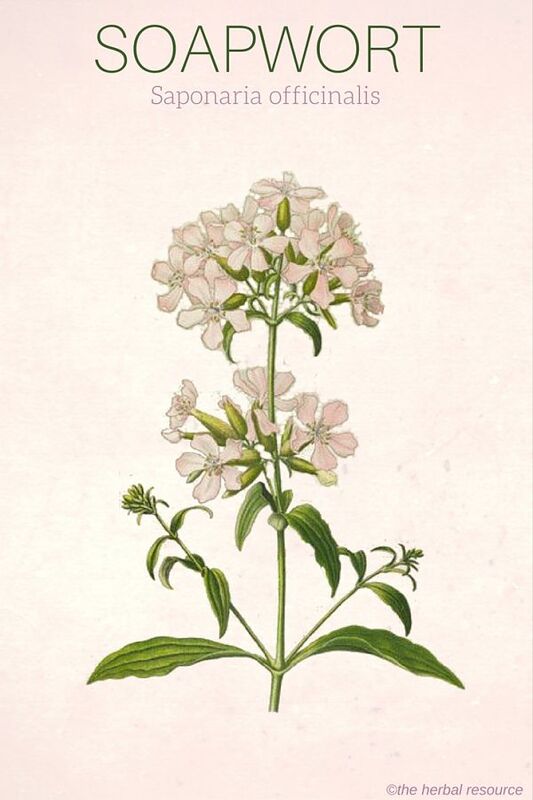 The English common name soapwort and the Latin name of the plant’s genus “Saponaria”, that derives from the Latin word “sapo” meaning soap, refer to the traditional use of the plant as a natural cleaner. A natural soap can be made by boiling the dried and crushed rhizome (or leaves) for half an hour in water. The saponins present in the plant lower the surface tension of the water resulting in a foamy, soapy solution which can be used for cleaning. This solution is gentle and effective cleaner that was often used by museums to clean fragile and delicate fabrics that could not withstand the strong chemical soaps. An extract of soapwort for internal use can be made by adding two teaspoons of the dried, finely cut rhizomes to a glass of cold water and soak it overnight. After the extract has been strained it can be used in small doses divided throughout the day. Alternatively, one teaspoon of dried herb can be added to a cup of boiling water and then allow the tea to draw until it has completely cooled down. For internal use, a daily dosage of soapwort should not exceed 1.5 grams of the dried rootstock. Soapwort should never be consumed in a large dosage or over a long period of time because the saponin content of the herb can cause hemolysis, and severe irritation of the digestive tract resulting in cramps, nausea, vomiting, and diarrhea. In order for the herb to be safe for internal use, it should preferably be administered under the guidance of a trained and licensed herbalist or another professional healthcare worker knowledgeable about medicinal herbs. Still, the saponins are poorly absorbed by the body and furthermore, they are broken down by thorough boiling so poisoning in humans occurs rarely. However, the plant may pose a danger to grazing livestock and it is very toxic to fish. Soapwort can cause irritation to the eyes and skin so it should also be used with caution externally. The herb should not be used by pregnant and breastfeeding women.